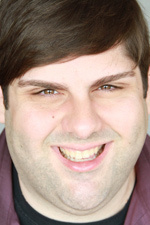 Jeff Bouthiette has music directed for improv and sketch comedy extensively in the city of Chicago, including with The Second City National Tour and at sea, Comedysportz, The Comedy Shrine, Chicago Comedy Company, Gayco, and others. As an improviser, he was a longtime member of the musical improv troupe Jazz Hands Across America, and has performed with Infinite Sundaes, Blender, This is Okay 'Cause We're Singing About It, and many others. 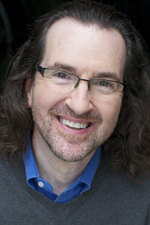 As an actor, Jeff has performed with Pegasus Players, Hell in a Handbag, Theatre Hikes, Brown Couch, Stage Two, Arts Lanes, One Theatre, and Chicago Kids Company. He played Montel/Jesus in Bailiwick Repertory's award-winning production of Jerry Springer: The Opera. As a songwriter, Jeff recently premiered Miami Nice: A Golden Girls Musical, and has participated in the Johnny Mercer Songwriting Project as one of the nation's top young songwriters. 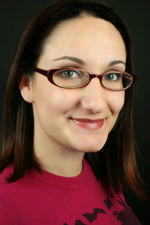 Kristin Hopkins arrived in Chicago from Columbus GA in July 2011, with a BFA in Musical Theatre from Auburn University. She has studied at The Second City Conservatory, Improv Olympic (iO), and just completed the Second City Music Improv Conservatory. She has her own independent musical sketch team Hey Ladies, which she performs with regularly around the city including at Chicago Sketchfest (2013, 2014), Chicago Women’s Funny Festival (2013, 2014), and Laughing Stock (2013, 2014). Kate Cohen is thrilled to be performing with the incredibly talented team of the Improvised Sondheim Project. She plays regularly with ComedySportz Chicago and Laugh Out Loud Theater and recently appeared Off-Broadway in the improvised musical One Night Only. Kate has also performed improv and sketch comedy throughout the Bahamas and Caribbean with The Second City aboard Norwegian Cruise Lines. She is a faculty member at The Second City Training Center and earned her B.A. in Theatre from the University of Arizona. She is very thankful to Mr. Sondheim for the chance to sing the wrong notes and still have it sound right. Kerri Morrison is thrilled to be performing with the Improvised Sondheim Project. When not performing with ISP you can see her perform with Hogwash: An Improvised Tall Tale, Best of MCL or with her award-winning sketch group Cake-n-Hatred. She is an alumna of The Second City House Team Infinite Sundaes and has coached and performed with MINT Music Improv Night. She also teaches in the youth and teen program at The Second City Training Center. 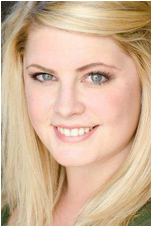 Kerri graduated from Point Park University with a BFA in acting and is a proud native New Jerseyan. Paul W. Thompson has been a musical director and accompanist throughout his 40-year career in the performing arts, including at the Bucks County (PA) Playhouse, the Naples (FL) Dinner Theatre, Dominican University in River Forest (IL), and for Amanda Murphy and Jamie Campbell’s fourplay at Chicago’s Studio BE, now MCL Chicago. He studied piano and voice with his mother in his native Nashville (TN), and holds BFA and MM degrees in music theatre from Baylor University (TX) and the University of Miami (FL), plus an MBA with Distinction from Chicago’s DePaul University. He has appeared onstage or in the orchestra pit in choral concerts, musicals, operettas and operas in 30 states, including two decades as a member of the Grammy Award-winning Chicago Symphony Chorus, 20 productions with Evanston’s Light Opera Works, and performances at the Ravinia Festival, Chicago Theatre, Auditorium Theatre, Arie Crown Theater, Pritzker Pavilion, Medinah Temple, Chicago Shakespeare Theater and New York’s Carnegie Hall. Paul has been a member of the choir at St. James (Episcopal) Cathedral since 1991, and is the treasurer for this historic congregation. In 2014 he became Director of Finance for the Chicago Chapter of the National Association of Teachers of Singing. He teaches the great songs of Broadway to the next generation of performers at Paul W. Thompson Music, his studio in Chicago’s Fine Arts Building, composes music for churches and theaters, and is the Regional Editor of BroadwayWorld Chicago, the local page of the world’s largest theater website. A member of Actors’ Equity Association, the American Guild of Musical Artists and the National Academy of Recording Arts and Sciences, his proudest achievement is that he has seen the original Broadway production of every Tony Award-winning Best Musical since Cats! Nicole C. Hastings is a member of The Second City National Touring Company, performing sketch comedy and improvisation at theaters great and small around the U.S. and Europe. She is a proud ensemble member of One Night Only, as well as all-female team Eleanor and two-person improv disaster Free Trophies with Tim McKendrick. She has performed with The Second City Training Center's Twisty/SketchCo and Infinite Sundaes, Laugh Out Loud Theater (Schaumburg, IL) and ImprovAcadia (Bar Harbor, ME). 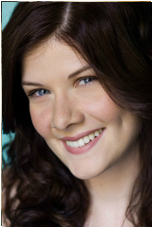 Nicole trained at iO and The Second City Conservatory and Music Improv programs. She is a native of Northern California and graduate of Columbia University.